Details from the sea. Corals, sea urchins, echinoderms, shells and a tiny starfish…. using a Moment macro lens for iPhone 6 and playing with PicMonkey for editing…. A to Z Challenge: Y is for Yellow shells…. Out of the shells I have found, the Lambis family are beautiful specimens of molluscs. Shells, 2015 gallery… in progress. Vasum turbinellum…L-R Sri Lanka, Borneo, Oman, Lombok. Cellana eucosmia… Con Dao, Vietnam. Lambis lambis, Lambis chiragra and Lambis scorpius…Sri Lanka. Babylonia areolata , Phu Quoc, Vietnam. Barr al Hikman, Oman has been on the “to visit” list for a while and finally a decision was made to spend 48 hours exploring the peninsula. Vietnam re-visited October 2015: Phu Quoc Island. A stormy departure from Ho Chi Minh, bumping through the rain clouds, I’m always a bit tense in the small plane and turbulence scenario so it was a relief to head down to Phu Quoc. It’s a short flight, around one hour in the air. Meet and greet at the airport and off to the resort, a couple of hours late after the cancelled flight earlier from Con Dao. I’d chosen the Daisy resort, small chalets on the hill above the road into Phu Quoc. Very pleasantly surprised by the resort, it was lovely, fairly new, well designed and a lot of care had gone into the planting out of the terraced gardens. Motorbike hired from the hotel, a quick change and we were off out. Since my visit in 2013, the change was apparent, development of hotels and resorts and the associated small shops and restaurants that come with tourist infrastructure. Very late in the day we pushed off to a small ecological island we had read about towards the North east. It’s an hour at least by motorbike and once off the main road the track is pretty difficult, a heavily rutted mud-bath, but a daily journey for the local villagers. After several wrong turns, we finally found the island, which appeared to be closed. Climbing over the barrier, no-one around, so no-one to stop us, there was a slightly dangerous rickety structure over the tide channel onto a small causeway leading to the island. What had obviously been an idea to make money had turned into an overgrown abandoned idea. Carefully treading along the path we reached the furthest point, deciding to follow a different path back, we ended up fighting our way through jungle to regain the causeway. With grass and shrubbery waist-high, all I could think about were mosquitos carrying dengue fever, lying in wait for my tasty British ankles..I was very relieved to get off it ! The next day taking the coastal track to the North west tip of the island, which in 2013 had been an insight into the life of the small fishing villages, was a complete shock. Day two-to Ghanh Dau via a track not now recommended under any circumstance, take the main road…. The track was appalling, huge trucks carrying for construction had churned the surface into deep ruts and the rain had made it into a mud bath. As a passenger, it was a pretty awful ride. Soon there were “No entry” and “Turn back” signs , but as usual we had to go and see why. The track ended abruptly, a massive storm had washed the road away, but along the beach there was a strip of sand that looked as if it could just take the bike. And it did … soon we were back on the dire track, startling locals as we skidded along. What was noticeable was that most of the small communities had gone, vast tracts of land were fenced off with land clearance and massive construction in progress, with guards and no entry signs and then finally a vast development stretched down to the beach, cutting the track off completely. Managing to negotiate the worst bit of track we had seen so far, I did get off and walk at this point, we hit the main road at the side of what appeared to be Vietnam’s answer to Disneyland. A massive them park has been built and constructed since our last visit and was open for business . It was quite unbelievable to stumble across it. Huge hotels, a massive ferris wheel and rides, Safari park, golf courses all under construction. It will be vast when complete. Lining the sides of the roads were scooters, in every direction, the workers transport. Pushing on past, through the vast area under development, we finally reached the small village at the tip of the island. Here, life took a step backward, poor and undeveloped, the village had grown but it was still a ramshackle existence. The beautiful beach at the point was now on the tourist path, the restaurant had expanded and a villa resort was now occupying part of the coastline. The food hadn’t changed, wonderful Vietnamese prawns, cooked with tamarind, scallops with garlic , a lovely rest looking over the Gulf towards Cambodia’s islands only a few miles away. An elderly Viet shouting and pointing as we moto’d off after lunch,the drama was identified a puncture, kind gesticulating found us at one of the little repair shops on the side of the road and finally the puncture was repaired so it was a trip back on the main road. Passing acres of pepper farms, prevalent on Phu Quoc with a roadside stop for home-grown peppercorns to bring home, then onwards through a swamp area, I noticed people and shacks in a forested part. Slowing down to see why there were people in this inhospitable flooded area, there was a small settlement, families living on rickety platforms with plastic and shreds of tarpaulins protecting them from the rain. Behind this was a massive rubbish dump and realizing we were seeing people living in an existence we could not imagine, we drove on, quietly saddened to see such extreme poverty. Heading back through town to dinner at the Night market and noticing a shop selling live fish and molluscs, a quick stop to check out the wares. Duong Dong town is large, the fishing port is the centre and there is a busy night market, now expanded to include gift stalls as well as the fish restaurants lining the sides of the road. All the stalls have their wares displayed to choose from and it was a hive of activity. Choosing prawns,squid and a mollusc named Volute, the food was perfect. The Volute was an experiment, and the beautiful shells were chosen to come home with us. Stir-fried with greens and spices, it was delicious . And Tritons for dinner, temptation for the shell was huge, but it didn’t seem right somehow…. The Harbour area is bustling, locals and tourists, working or passing the time of day. The port is constantly busy, roadside vendors selling fish, food, trinkets and prayer items for the small shrine on the rock by the sea. The town temple on a rock…. Day three … southern round trip..
On the last morning, the skies were heavy with rain, so it was decided to head to the other end of the island, escaping from the storm clouds. A trip straight across to Rach Ham to walk out on the jetty into the bay. It’s about one km long, the bay is too shallow for the larger fishing boats and on the last visit it was a hive of activity. Not so this day, but it was a breezy walk away from the humidity onshore. Fishing boat at jetty end…. Around the jetty there are small stalls selling all sorts of fish, dried fish, fungi,wood, roots. I was dying to know what they were used for, but no-one around spoke enough English to tell me. Coming across several stalls selling live sea-horses, I finally found someone who told me they are deep-fried as a snack…. hmm, well, everything is eaten in Vietnam, but seeing them floating around, waiting to be sold and fried made me decide it was time to move on before I started to save the seahorses. Dried root but it was special, hanging on its own, no way of knowing…no-one spoke English…. Calling into the ferry port of Bai Vong for a quick drive around the jetty to check out the ferries, all wonderfully named “Superdong”, plenty in port waiting for their sailing times to the mainland ports of Rach Gia (2 hr 30 mins journey time and Ha Tien (1hr 30mins journey time) on the mainland. then another developed road, where two years ago it had been a mud track leading down to the busy port below An Thoi. I just had to take this…. Lots of fish drying on the side of the port road…. Phu Quoc is famous for it’s pearl farms and pearl jewellery, some fabulously expensive items for sale in various exclusive shops, but I wanted to add something to the golden pearl earrings and pendant I had bought previously. 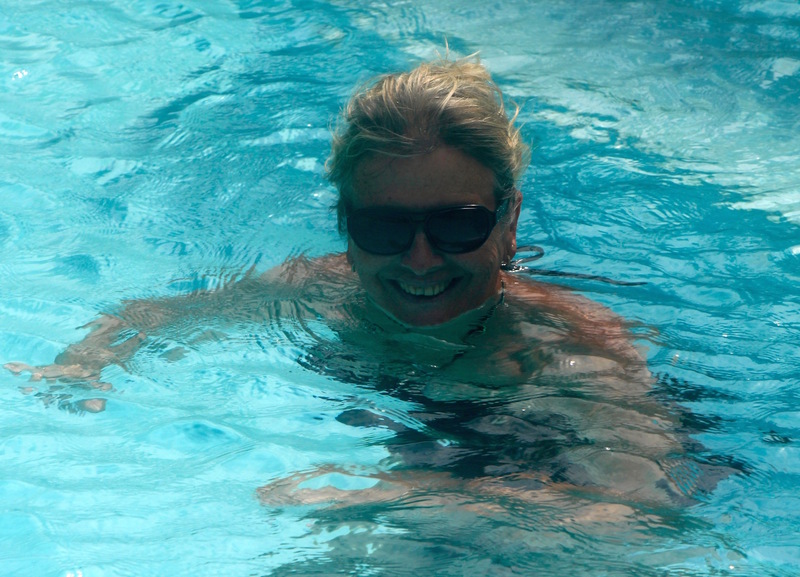 Phu Quoc pearl farm was revisited, where I had met an Aussie expat, managing the fishery part. Two years on he was still there, thinking of moving on, the same thoughts as in 2013. The Pearl collection was added to, my visa card took a beating so we wandered outside for a free drink (customers who bought, benefit). It’s all slightly scruffy but with magnificent views down Long Beach back up to Duong Dong town where we could see massive clouds gathering and rain spreading down the coast towards us. Leaving the farm, resigned to getting wet, we headed into the black thunderclouds and narrowly escaped a soaking. It was time to pack, dine and head back to the airport to catch the flight to Ho Chi Minh for the Dubai connection. A Business Class upgrade on Emirates was a perfect end to the trip and I will be returning to explore more of this fascinating country. Central and North Vietnam are waiting for me ! Phu Quoc’s transit from sleepy island to Vietnam’s jewel in the Gulf of Thailand reminds me of the development of Cyprus into a tourist island.Cyprus has been my home since 1987, when I arrived the development was fast and frantic, concrete structures rising along every inch of the Kato Paphos coast line. The whole town turned into a tourist industry and Phu Quoc in the Duong Dong area will eventually be similar. It’s happening now but it’s at the start, it is a place to visit now, a few years hence it will be somewhere quite different. Return departure 23.55(SGN) arriving 04.50(DXB). Alternative Emirates route with a connection in Singapore is also available. Hahn Air Systems, Vietjet, Jetstar, Vietnam Airlines. I chose Vietnam airlines for timings to suit my journey. Motorbike: available from hotel for a cost. Travelling from Jakarta to Lombok is approximately 2 hours, Jakarta airport is fairly fluid and relaxed. Garuda was the airline choice, there are many to choose from, but working on the premise their safety record showed up the best and had the most suitable flight times, it was the airline of choice. A comfortable flight, fabulous visibility, I was pinned to the window watching Java and Bali pass below me. Lombok is a large island dominated by its volcano in the north. Tourism revolves around the main town of Mattaram and there are a few scattered luxury resorts to the south, but little else save for back packer hostels. Staying slightly outside Mattaram meant a hire care was necessary. The island is too large to cover by motorbike and the 4wd booked was not as advertised- however, the car rental company didn’t quite realise we are not your average tourist when it comes to exploring off road, we do take cars where others don’t, so off we headed without making too much of a fuss…their mistake ! 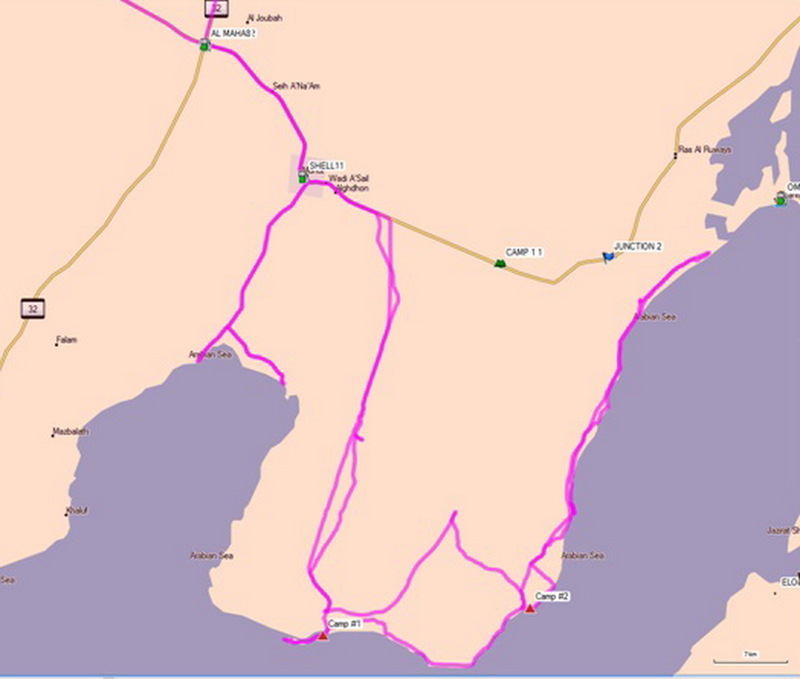 Over the week the west and southern section of the island was covered. Mattaram Town is a melee of small streets, packed with people,buildings, motorbikes, cars, small trucks all jostling for space. It was noisy and hot,with lots of character, but sadly couldn’t be avoided when trying to head off to quieter areas. After sunset at the hotel.. Selling Mosque tops ?? …. Picking up on a hint from a fellow traveller, we headed off to find “Pink Coral beach” … crossing the island on the main two lane highway, dodging bicycles, trucks and pedestrians was a slightly fraught journey until we reached the dirt road that took us to the south-eastern tip of Lombok. Here the track was rough and our inadequate 2wd rental was put to the test. Reaching the tip, some spectacular views, high on cliffs with sheer drops down to an unforgiving sea, it was time to get back to the safety of the terrible dirt road. South Eastern tip of Lombok…. Back on the road again after the long haul back up from the beach and turning left off the track, we were heading to the south coast, it was a long and bumpy ride through jungle, with lizard sightings – no photos, they moved too fast ! A small village miles from anywhere indicated we were closer to the south, the villagers were poor, homes are raised wooden structures, some with makeshift walls, with usually a washing line and the inhabitant’s clothes on hangers under the cover of the palm roof : there is no visible furniture, only hammocks and raised platforms for sleeping, a fragile life in this humid area. The south coast was spectacular, but with no-one visible anywhere.We could have been the only people on this coast… A track to the beach was found and bumping down it to the sweep of a vast bay, some huts to the back , we were completely alone. The tide was high and about 1km out there was a rock formation that marked the reef . Each sweep of coastline repeated this wild and idyllic seascape. As the tide dropped, the reefs became populated by villagers collecting shell fish for food. South coast reef sculptured by the elements..
Another view of ecstasy bay…. Volute nobilis, Lombok… found on the beach… Success…! Further along the coast we came to Kuta, a dusty backpacker town, handwritten signs, kaftans and wifi cafes, one or two luxury resorts tucked away behind high coconut matting walls, idyllic beaches, one could just lose themselves here in this escapist place. Ikat weaving is traditional in Indonesia and in Lombok there are several villages where the traditional craft is still carried out. Sukarara is one and traditionally women must learn the art of weaving before being considered as marriageable. Invited into a weaver’s house, I watched this age old craft with interest, 2 generations of women were sitting on the ground creating the most intricate of textiles, surrounded by small children, chickens, dogs and poverty . A buy was inevitable and it’s a treasured part of my souvenir collection. Leaving the village, I came across the Co-operative, a wonderful treasure-house of woven textiles. For someone like myself, who loves fabrics, it was utter heaven .. I didn’t know what to choose, but finally settled on a beautiful blanket, sofa throw and a “piece of fabric that if you are inventive will look great anywhere ” item … it decorates my chair, love it to bits. Wonderful memories of this beautiful place, Indonesia is still on the to do list; its such a huge nation,with so many different islands to visit . One thing that struck me about our journey, Indonesia is a very colourful and tolerant Muslim nation. Coming from the Gulf, where clothing is traditionally black for women, it was such a change to see the women dressed in a respective fashion according to their religion, but with such vibrant colours and patterns. It is the largest Muslim nation in the world with over 62% of the world’s Muslims, but it is a way of life that mixes with other religions and creeds, seemingly without conflict in the under-developed areas of the nation. Living in the Gulf, where Sharia law and religious ideals are part of everyday life for nationals and expatriates, it was refreshing to see the Muslim world from another perspective. I’m used to the prayer calls, the Abaya and Hijab are part of everyday culture. The Friday mosque parking hazards are just part of Dubai and I respect it, I’m choosing to live in a country that applies Sharia law, but it was a different and refreshing view on Islam and the acceptance of integration without the same restrictions applied to those not of the faith . Maybe its because there is a high level of poverty and faith is part of survival without expectation . Indonesia is vast, this visit only touched a tiny part of it .. I search on Google maps and can see for me, another visit to a different area is surely part of the plan..Nusa Tenggari, Papua, Timor..where do I go next ..? Tulips in Glass on What's (in) the Picture? Outlet on What's (in) the Picture? All of the photographs on this blog were taken by Vicky Zavros, the Author, and all rights are reserved and protected under copyright laws. 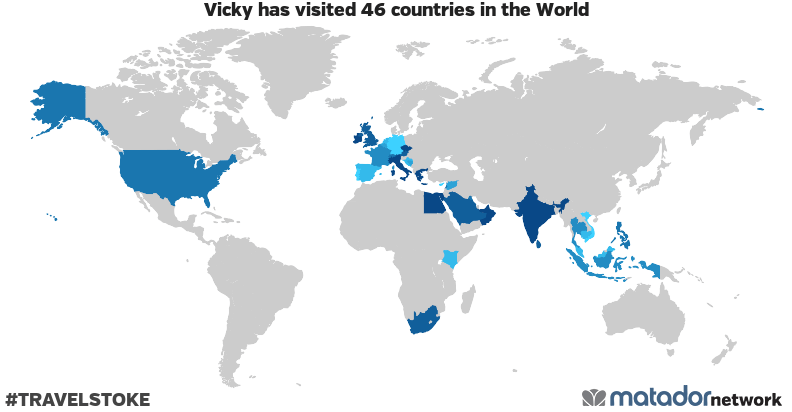 Vicky has been to: United Arab Emirates, Austria, Bosnia and Herzegovina, Barbados, Belgium, Bahrain, Switzerland, Cyprus, Czech Republic, Germany, Egypt, Spain, France, United Kingdom, Guernsey, Gibraltar, Greece, Croatia, Indonesia, Ireland, Isle of Man, India, Italy, Jersey, Kenya, Cambodia, Kuwait, Lebanon, Liechtenstein, Sri Lanka, Luxembourg, Monaco, Malta, Mauritius, Malaysia, Netherlands, Oman, Philippines, Portugal, Saudi Arabia, San Marino, Syria, Thailand, United States, Vietnam, South Africa.